The Saddleworth & District Whit Friday Brass Band Contest has been taking place on the afternoon and evening of Whit Friday since 1884. 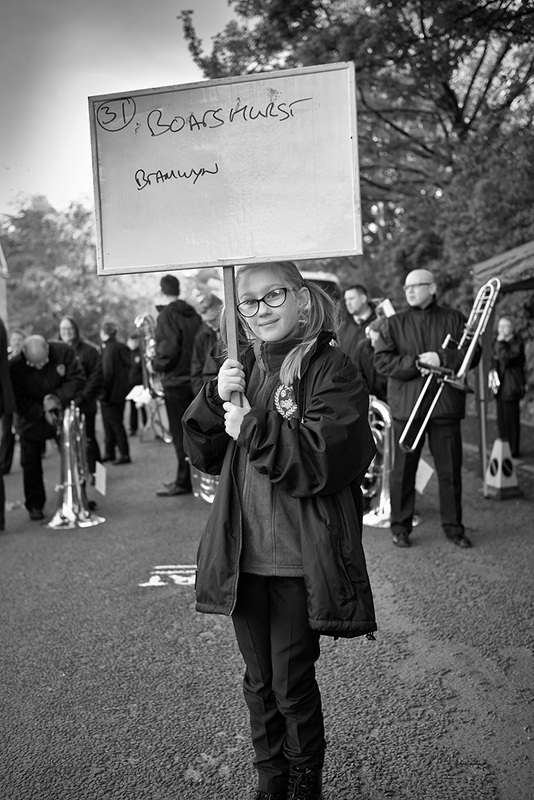 Last year well over a hundred brass bands participated in some twenty different contests at venues scattered around the moorland villages and towns on the western edge of the Pennines. All of the contests are open-air, many in delightful surroundings. 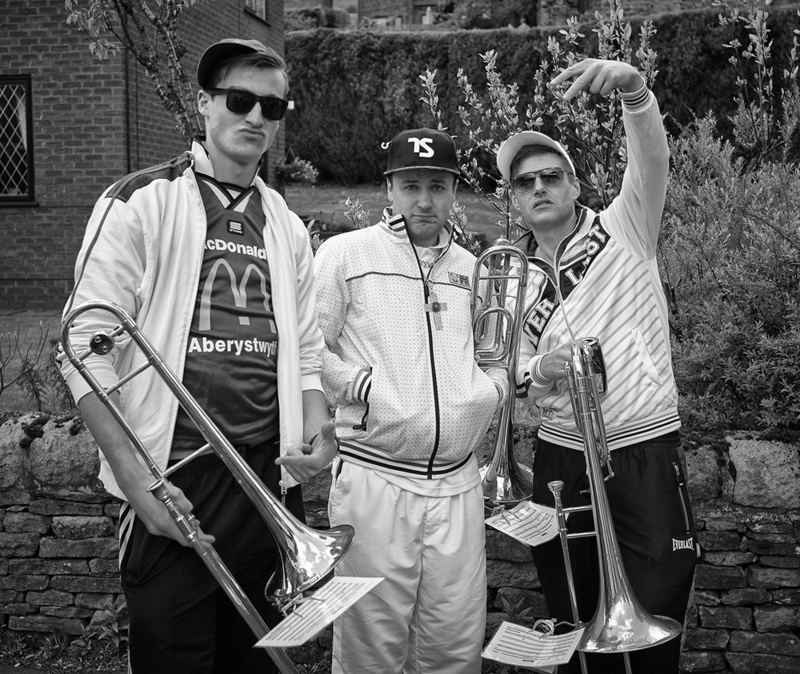 The area has a very strong tradition of brass band music. 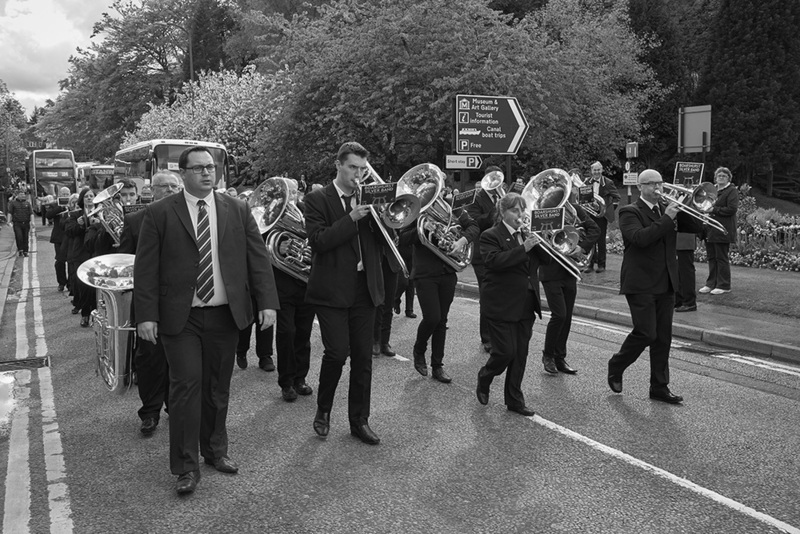 In the weeks before Whit Friday, the sounds of rehearsals echo across the hillsides from the various band rooms and village halls. There are thriving bands in some of the tiniest villages. And the best bands are world class. The contests are open to all-comers. So the local youth bands get to match their skills against the top bands of the country. For bandsmen, the dash from contest to contest makes for an exhilarating (though exhausting) evening. See the comments in the guest book. 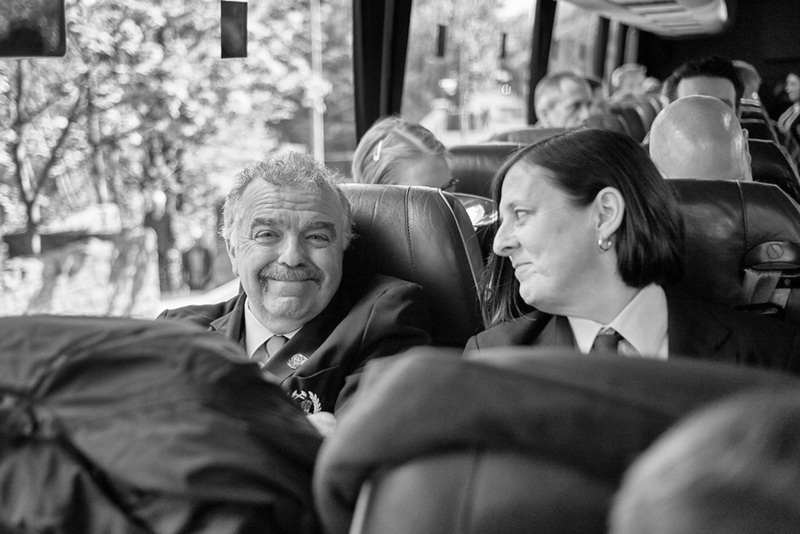 This is a major event in the brass band calendar and bands travel the length of the country to participate, some even turning up from overseas. Contests typically start at about 4.30pm. Bands play two pieces (marches), one on the march and then their well-rehearsed show-piece on whatever passes for a rostrum. Each performance is scored 'blind' by an adjudicator, hidden in some adjacent darkened room or caravan. Each contest offers prizes for the best band, best youth band, best soloists etc. At one of the busier venues, you could expect to hear over 50 bands, before the winners are announced shortly after close (10.30 pm or 11.30pm, though the most popular contests can go on well into the early hours). It is possible to look in at several contests during the evening. But with over 100 bus-loads of bandsmen about, with many of the roads closed to traffic and the inevitable parking problems, it pays not to be over-ambitious. Each contest is organised by local volunteers. All the running costs and prize money are raised by local donations and through fund-raising events. Most provide refreshments.Each contest sets its own rules. Bands are required to play a published march, an unmarked copy of which should be handed to the Contest Steward on arrival at the signing-on point. Normally, no more than 25 players may play the contest piece, plus the conductor. On the morning of Whit Friday, the traditional Whit Walks take place. 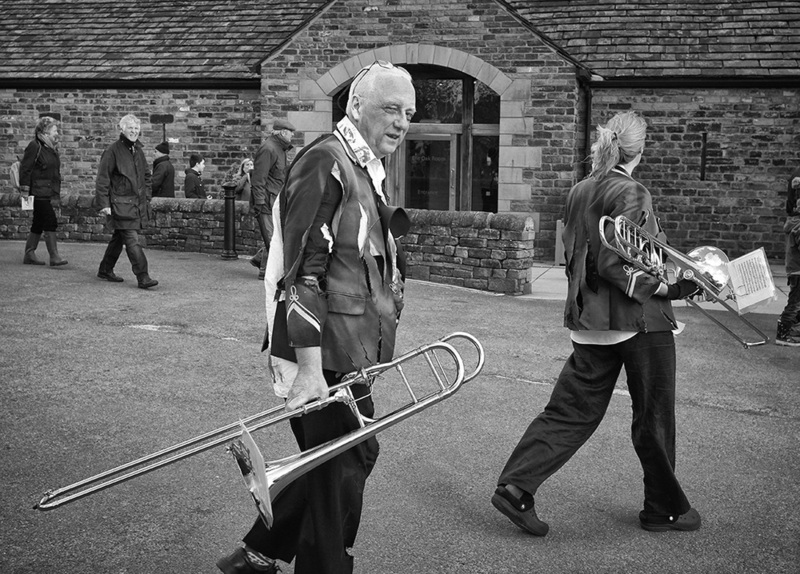 Dobcross contest have introduced a Henry Livings memorial prize, open to bands who have played on any of the morning's walks. Sadly the very enjoyable Beer Walk, which was organised by the local Round Table, no longer takes place on the day following the band contests.